Creating cool looking and unified websites becomes easier with Twitter Bootstrap, a highly convenient framework to organize front end code of your website. 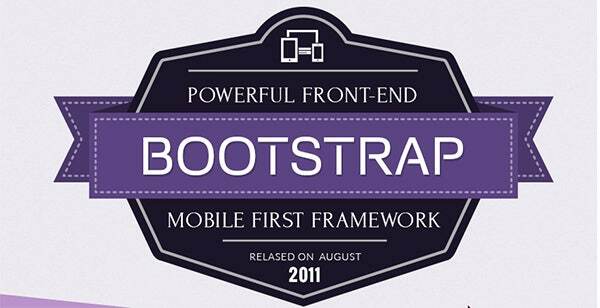 The grid layout of Bootstrap makes front-end HTML coding simpler, and results in automatically responsive web pages. Readymade professional Best Bootstrap reponsive themes are perfect design platforms to support differentiated and high impact contemporary websites. Getting a well-designed website front-end up and running in no time is what Bootstrap does best. Although the HTML code generated for your Twitter Bootstrap Themes and Templates based web pages could seem confusing and too dependent on data (which is not the ideal web designing ideology), it remains one of the most preferred contemporary web development and design platforms. Get off the blocks quickly with so many astoundingly beautiful top Bootstrap themes to empower your web development projects. These themes vary in design philosophies; you get stunning flat styled themes as well as floral patterned themes, along with vector kits and Boostrap PSD Templates. Scaled to fit all kinds of screen sizes, these unify bootstrap theme boast of strong impact designs, powerful custom admin panels, and support for multiple languages, thus enabling flexible web design experiences for you. These bootstrap layout templates come to you with multiple color schemes, SEO features, optimized and professionally written code, along with custom AJAX forms. Leverage the strong admin panel features to manage logos, backgrounds, headers, footers, colors, and everything else. Check out Twitter Bootstrap themes spread across several categories such as nature, architecture, corporate, art, technology, and more. We Welcome Your Suggestions, Please Comment Below.